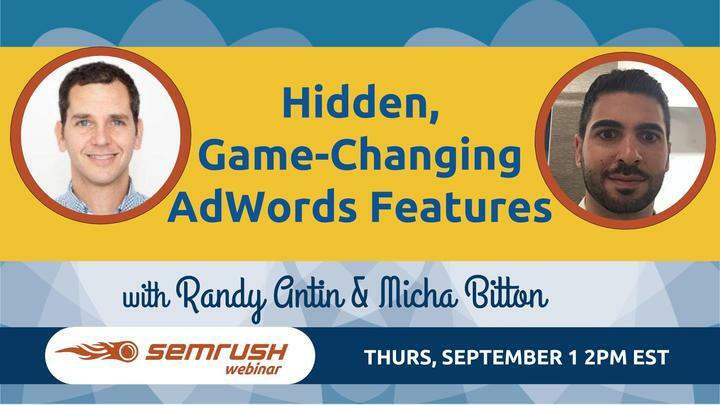 In this webinar Randy Antin and Micha Bitton will discuss features on Google Adwords that digital marketers could overlook. The first overlooked ad-word feature they will discuss is advanced targeting options such as the household income tier feature. Next they will cover how to set up scripts on AdWords and how digital marketers can take advantage of different scripts. Finally, they will discuss how to implement auction insights in order to improve performance.